One of the things I miss from Zimbabwe and Moçambique are my birds. 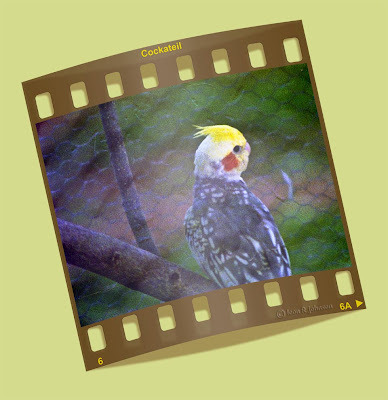 In Zimbabwe many people bred birds, so they were cheap and available. Food grains could be stocked up in bulk and mixed at home cheaply. 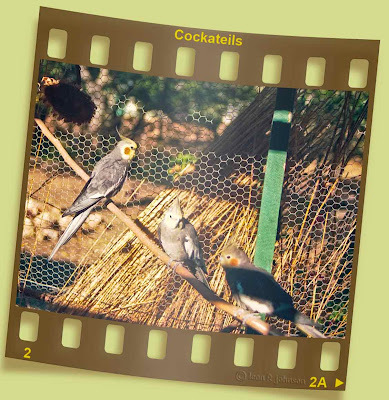 Aviaries were not difficult to build and the weather allowed most birds to be happy outside year 'round. Now I'm in an environment where winter puts too much stress on tropical birds unless they have an indoors section to the aviary. That's beyond my budget. We're down to three budgies and one cockateil kept indoors in cages these days. In Zimbabwe we had budgies, lots of lovebirds and cockateils. 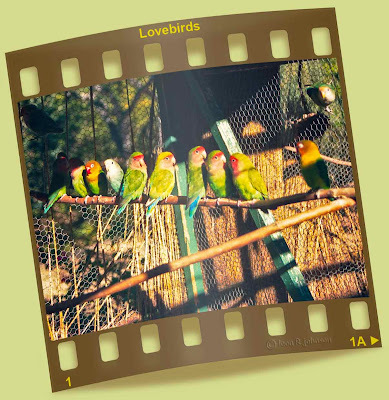 My lovebirds bred readily and I allowed the various kinds to mix freely. I had peach face, pastel blue, nyasa, fischers, various pied varieties as well as assorted mixtures. 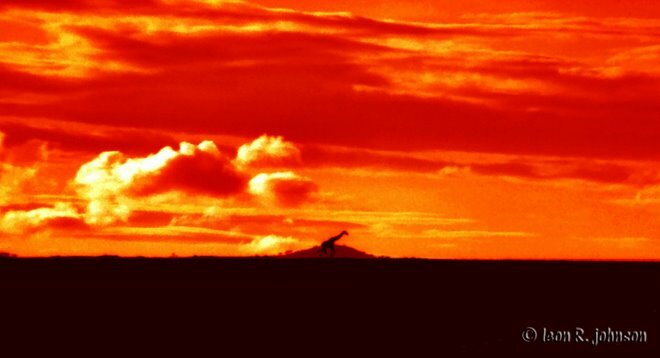 One pair produced some red babies, but there must have been a genetic weakness associated with the unusual colour since they never survived to maturity. A friend in Gweru was having a similar situation with red babies who didn't live long. We had ordinary grey cockateils as well as lutino, pied and white varieties. 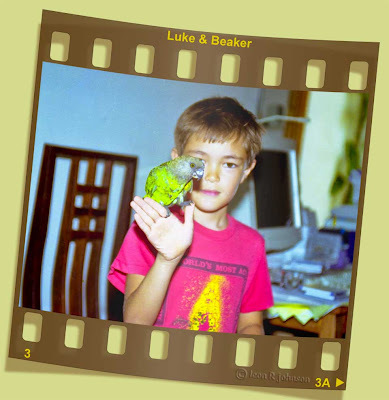 When we moved to Moçambique, Luke got a young brown headed parrot which was rather tame. He did bite frequently, so we named him Beaker. Unfortunately, while we were on an extended trip, the friends caring for Beaker didn't keep doors closed tightly enough and a neighbourhood cat got Beaker. 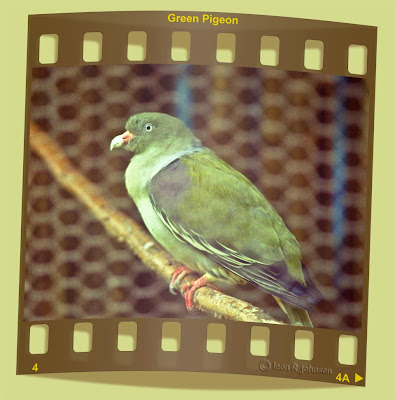 In Pemba, Moçambique, we had some green pigeons. They are quite interesting in that they eat fruit exclusively. We were good customers for the papaya sellers. It is said that they get all their moisture from the fruit and never drink. I don't know the accuracy of that, but I never saw any of ours drink from the water dish. 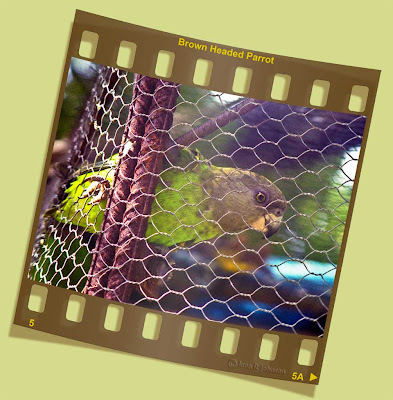 In Pemba we had a number of brown headed parrots in one of our aviaries. None became tame like Beaker. We also brought some cockateils from Zimbabwe when we returned to Pemba from a visit there. We had a pearl (above) and a couple of greys. In addition to the larger birds, we often had small birds such as red and blue waxbills, bronze manikins, cut-throat finches, jamison firefinches and others. I miss seeing the babies emerge from the nesting boxes and discover the world.